Processing Jam #2 Barcelona will be held March 2 and 3, 2012 in Espai Erre. 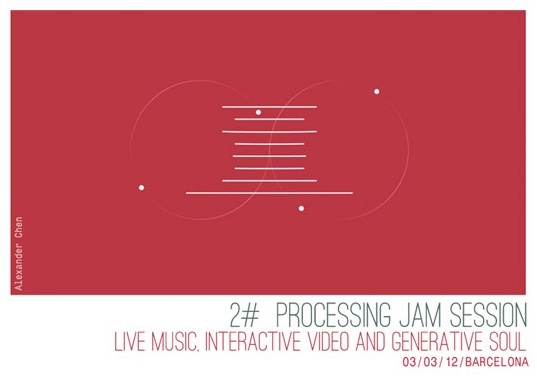 Organized by welovecode, this Jam session will be organized into four modules exploring the power of processing in concert with various protocols and applications. One module, led by Luis E. Fraguada will focus on the communication between processing and Grasshopper using the various protocols available through the gHowl add-on for Grasshopper.